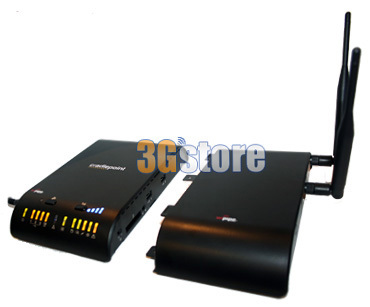 Cradlepoint's Business-Grade Modem Caps work with the MBR1400 3G/4G router or CBA750 network adapter to provide businesses with a fully-integrated solution for Verizon 3G EVDO, Sprint 3G EVDO, or Sprint 4G WiMAX internet access. Each modem cap features an integrated 3G or 4G module and high-gain cellular external antennas to enhance in-building signal coverage and improve performance in fringe locations and areas of poor coverage. Since the modems are specifically optimized for enhanced performance and reliability when used with the MBR1400/CBA750, the router + modem cap combination provides the highest levels of performance and reliability. Cradlepoint has always offered a variety of routers to suit the needs of just about every type of customer, and this year they released a number of new routers that operate on the netBSD platform (the CTR35, CBR400, CBR450, MBR95, and MBR1400) and offer features not available on the older models like WiFi-as-WAN and dual-SSIDs (with more exciting features to come soon!). Thanks to the improvements these new netBSD routers add, it comes as no surprise to learn today that 7 of the "legacy" models are officially "end of life": the Cradlepoint MBR1000, MBR900, MBR90, CTR500, PHS300, MBR800, and CBA250. 3Gstore does still have a limited quantity of the MBR1000, PHS300, CTR500, CBA250, and MBR800 in stock and we'll continue to sell them until they're gone, but once they're sold out, these "End of Life" routers will NOT be available any longer. Cradlepoint WILL continue to support these "end of life" routers for the immediate future (most likely approximately one year), but eventually these routers will no longer receive firmware updates to support new modems, fix bugs, add features, etc. While those legacy models were very popular for the past several years, since the development and release of the netBSD routers, we have been advising customers to consider those newer models instead. The netBSD platform is easier to use and navigate, offers a variety of features not available on the legacy routers, and features improvements in modem reliability. Discuss on the EVDO Forums: 7 Cradlepoint Routers Reach "End of Life"
Something big just happened and we have to give a shout out to CradlePoint. 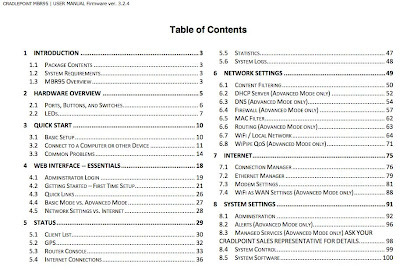 Many router companies have never understand that they sell complicated products with many options and since nobody really provides a manual (in print or electronic form), end users require support in order to figure things out. We have been asking for manuals for a long time. Looks like CradlePoint might actually be getting it. We received a 112 PDF manual for the MBR95. The manual is complete and will help many customers better use their MBR95. 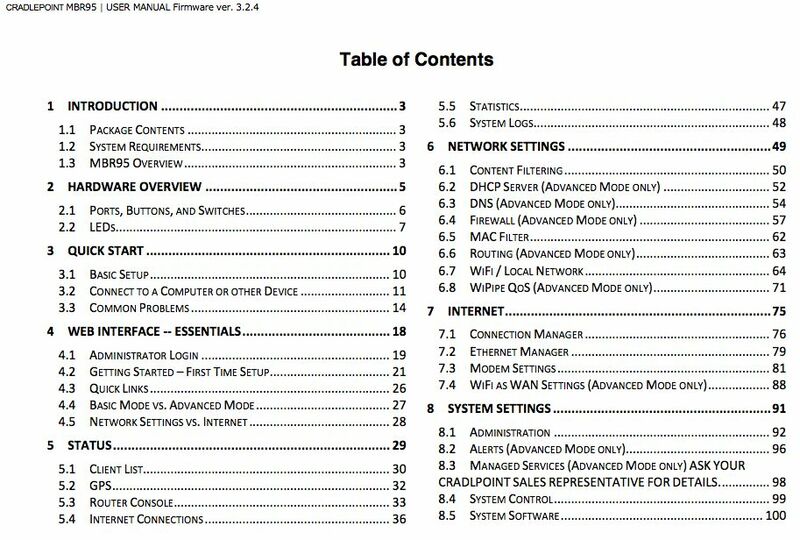 Starting in a few days, we will update the 3Gstore support CD that we include with every router order to include this manual. If you purchased your MBR95 from 3Gstore.com and would like to received a copy of the manual, email support[at]3Gstore(dot)com and include your 3Gstore Invoice Number and we will email you back with a copy. Good job CradlePoint, keep it going! Fresh of the recent 28 market launch a variety of sources are indicating a new market launch set to go live on August 18th. This list isn't official yet, but here are the 4G LTE markets that should be going live to bring Verizon's total to 118 4G LTE cities. If you've been having some issues with Mac OS X Lion and Sprint Smartview follow these simple instructions to remove the 64-bit warning message and make your card work! Attention 3G & 4G Router companies - here is a free tip for you. I know that it is a LOT of work supporting smartphones directly in your routers. You get it working and then a phone firmware upgrade breaks things. There are lots of users that use iPhones, Android phones, BlackBerries and it really is impossible to support ALL of these phones. However, many of these users would love the ability to extend their smartphone support to a router, so that ethernet devices and greater ranges can be had. In facet, I think many would purchase a router just for this purpose. So here is the million dollar tip. Throw away all development for individual phone support and instead support adding a USB Bluetooth dongle to your 3G/4G Router. All the routers already have USB. Once you write the drivers to support a single USB Bluetooth device, you will immediately support thousands of smartphones with very minimal efforts. 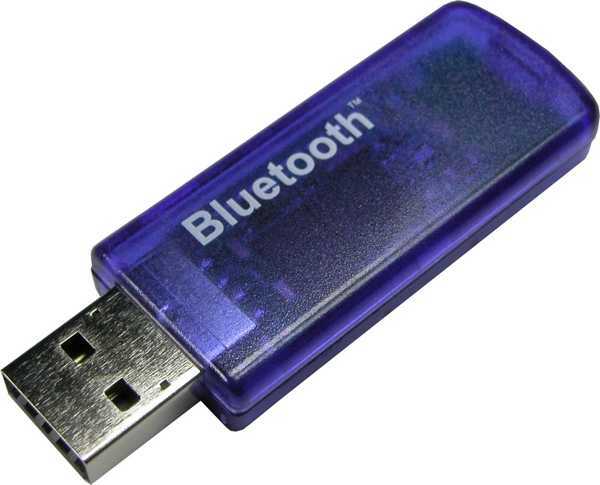 A BlueTooth USB device is in the $15 - $30 range, so they are pretty cheap. So, Router companies, you in? I promise that the first company that delivers will see a nice bump in sales. Let me know what you think, add your comments. Cradlepoint's Sprint 3G, Sprint 4G, and Verizon 3G modem caps are now just $99.99 when purchased along with 2-year Sprint or Verizon service at 3Gstore! In combination with the Cradlepoint CBA750 or MBR1400 (sold separately), the Integrated Modem Enclosures provide businesses with a fully-integrated solution for Verizon 3G, Sprint 3G, or Sprint 4G internet access. The business-grade modem enclosures feature an integrated Sprint 4G WiMAX, Sprint 3G EVDO, or Verizon 3G EVDO module and high-gain cellular antennas to enhance in-building signal coverage and improve performance in fringe locations and areas of poor coverage. Each of the business-grade modem caps can be purchased now from 3Gstore for $99.99 with Sprint or Verizon 2-year activation, plus you'll save $20 off either the CBA750 or MBR1400! The Pepwave Surf Mini is a very popular option for customers looking to grab onto a WiFi signal that may be just out of reach with your laptop directly. 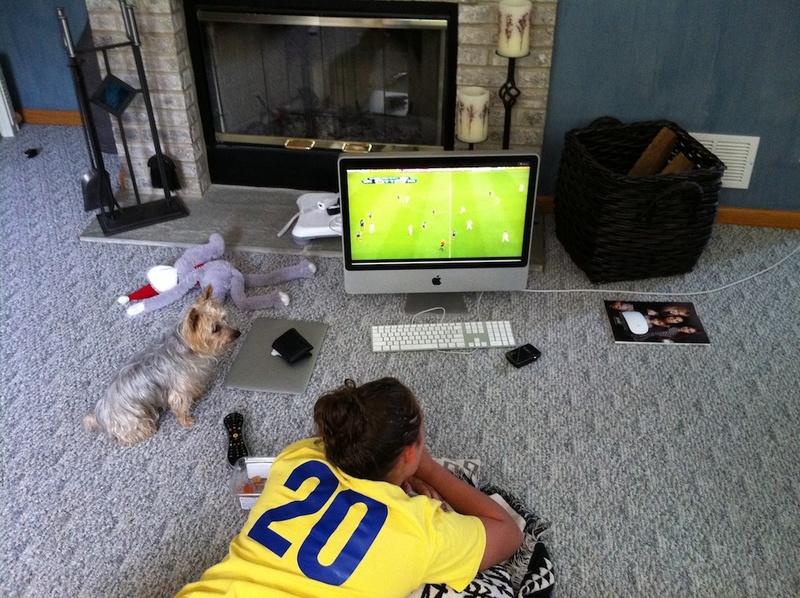 The one thing that people get concerned about is the configuration and if it is difficult to setup. The two most popular configurations of the Pepwave Surf Mini are using it as a wireless receiver or using it to repeat the WiFi signal from a local hotspot. Below you'll find a video tutorial demonstrating how easy the configuration is and how you can literally have it up and running in under 5 minutes! 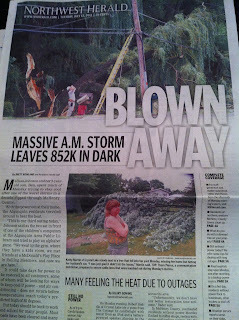 Yesterday around 7:25am, hurricane winds hit the northwest suburbs of Chicago. 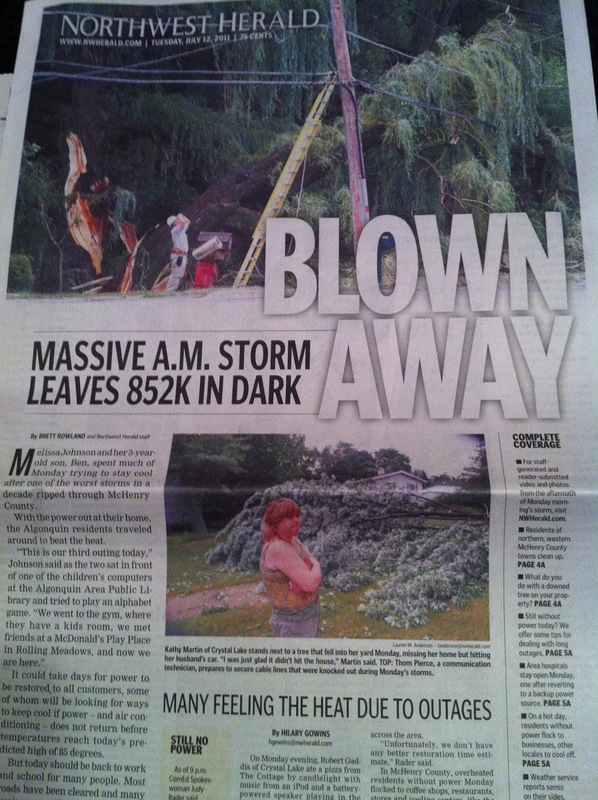 825,000 were without power and an incredible amount of trees and power lines were knocked down. Most businesses in the area were closed and even FedEx was closed. First of all, we were able to run lots of extension cables and get limited power to a few computers and routers, so we can limp along. We shipped via flashlights and had fans to keep things cool (90 degrees - it was a hot one out there). One of our employees drove to an open FedEx hub to drop off the days packages. A great end of the day as all packages were shipped and after checking with FedEx early this am, they all left Chicago on the way to our customer's doorsteps. Not only is power limited, now Comcast cable is down as well. Luckily we sell lots of 3G/4G data cards that can keep us going, so we get to "Eat Our Own Dog Food". We are currently beta testing firmware for the Peplink Balance 30 that supports Verizon LTE and within minutes we have our whole office back up and running including our PBX phones. Below is a picture of the Balance 30, it was taken in the dark, because we do not have lights. We are using a Pantech UML290 as our lifeline to the internet and it is doing a great job. We changed our PBX to use the G.729 codec vs. the G.711u as it uses a lot less bandwidth. We did this because Verizon LTE has either a 5GB or 10GB limit and then they charge $10/per GB when you go over. However, to keep our warehouse up and running, this isn't a problem because the Balance 30 keep exact track on how much bandwidth we are using. BTW, anyone that calls us and happens to talk with Ian, you will be talking with him over LTE. If there is one thing that creates confusion, it's the correct cables to use with a specific modem and antennas. With so many different types of connectors on the market we wanted to highlight the specific cable styles you'll see with virtually all the 3G/4G antennas that we offer. The vast majority of our Omni antennas utilize RG58 cable and the 18" Building Mount Omni is the only exception. We typically bundle this with an LMR240 grade cable, which still offers the same FME/Female connector you see in the video below. We have always recommended utilizing the security settings to "lock down" your router, so that unauthorized users can't connect to your network (this is particularly important for 3G/4G users who are dealing with a monthly data allowance!). Creating a custom network name and password to secure a Cradlepoint is fairly easy, but for users that like to receive their equipment "ready to go," 3Gstore is now offering a special pre-configuration service where we will set your Cradlepoint router up with the network name and password of your choice for before shipping your router! This service, which costs $15, is ideal for users who aren't very tech-savvy and don't want to mess around with their router's settings, but it's also great for businesses who are ordering routers to be shipped to remote locations. If you'd like to have your Cradlepoint router arrive with your custom network name and password already set up, simply choose the "Configure with Wireless Name and Password" option from the drop-down menu on the product page and enter the name and password of your choice. When you receive your router, the setup will be plug and play! For customers who are ordering a large quantity of routers and would like additional custom configuration applied to all their units, we do offer that service as well - contact us for more information on volume orders and custom configuration. 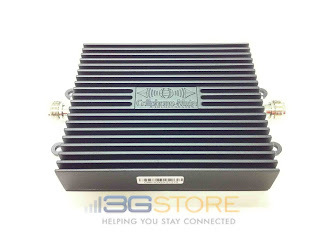 CellPhone-Mate is shipping us a new Verizon LTE 4G Amplifier to test. This is a wireless repeater system that should improve LTE signal in a large residence, office or warehouse (2000 - 30,000 sq. ft). Looking forward to testing this and we are glad that LTE Amplifiers are "coming soon". This solution will require an external LTE Antenna. Here is officially Press Release on the CM700V. We will report back after testing on the CM700V is completed. A few months ago we wrote an article about 3G/4G gaming and did a demonstration over a 3G connection. We've received several requests and questions related to gaming over 4G specifically as Verizon expands their 4G LTE network. I was highly impressed with the difference between 3G and 4G gaming and highly recommend upgrading a new 3G/4G Verizon modem if you've got 4G in your area and like to game!